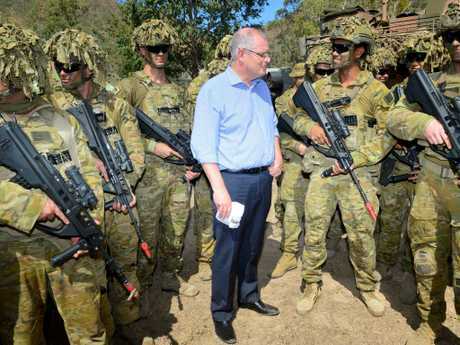 Prime Minister Scott Morrison visits 3RAR soldiers at Lavarack Barracks in September. NORTH Queensland will become the frontline in bolstering military ties with Pacific nations now firmly in the crosshairs of China's political muscling. Prime Minister Scott Morrison will today unveil a strategic foreign policy recalibration that steps up Australia's engagement in the Pacific, shifting its focus from the Middle East, where Islamic State had dominated the attention of allies. 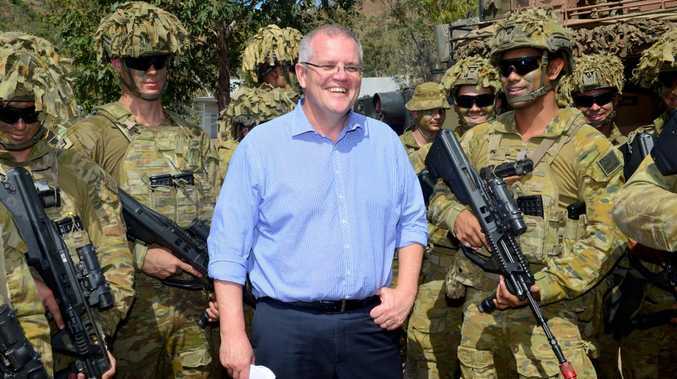 While Mr Morrison will not mention China in his speech to soldiers at Townsville's Lavarack Barracks, the strategy is undoubtedly partly in response to China's growing presence in the region. Mr Morrison and Chinese President Xi Jinping will attend the Asia-Pacific Economic Co-Operation meeting next week. Mr Morison will frame the adjustment as doing more for its "family" and "where Australia can make the biggest difference in world affairs". He will outline new key measures that will boost military cooperation with Pacific nations, training in responding to natural disaster, greater social ties with Australia's police and military, plus $3 billion in economic aid and infrastructure. It comes as US senators are demanding stronger military ties with Taiwan and want boost national spending in the Pacific by $7.5 billion to counter Chinese influence. A recent US-China Economic and Security Review Commission report said, "observers have expressed concerns that aggressive Chinese lending in the region is increasing the debt burden of Pacific Island countries to unsustainable levels. "According to the International Monetary Fund, Samoa and Tonga are at high risk of external debt distress - 52 per cent of GDP and 42 per cent of GDP, respectively - and both countries have significant debt to China." The fear is China will be able to use the debt it is owed to gain a bigger military foothold. Mr Morrison will today honour the service 3rd Brigade, which is likely to be part of a new Australian Defence Force Pacific Mobile Training Team. "My Government is returning the Pacific to where it should be - front and centre of Australia's strategic outlook, foreign policy and personal connections, including at the highest levels of government,'' Mr Morrison will say. "This is our patch. This is where we have special responsibilities. Always have, always will. "We have their back, they have ours. 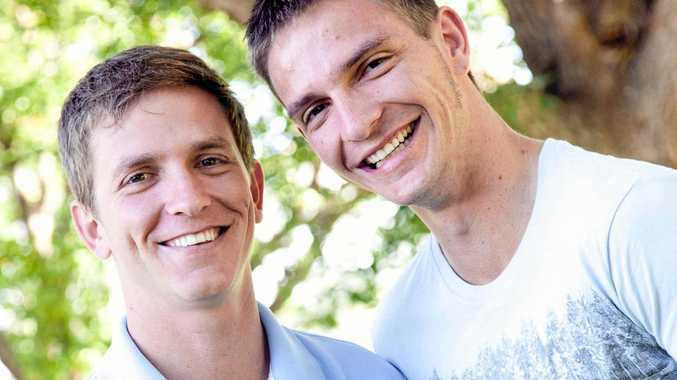 We are more than partners by choice. We are connected as members of a Pacific family. "In Queensland - our gateway to the Pacific - I want to outline in more detail our step-up in the Pacific and why we are taking our engagement to a new level. "And I wanted to do it here in Lavarack with you who are charged, along with all our servicemen and women to put our plan into action. "Australia has an abiding interest in a southwest Pacific that is secure strategically, stable economically and sovereign politically. "As part of our commitment to the Pacific, the ADF will play an even greater role, working with our partners on training, on capacity building, on exercises, on building interoperability to respond together to the security challenges we face."